We have had the pleasure of interviewing Kellie Doherty AND reading a proof copy of her book! Not only do we get to talk to another amazing writer, but we also get the privilege of helping her release her newest creation. HAPPY BOOK RELEASE DAY! We are very humbled. So here is her interview and below you will find out review of her book. I realized that language had power when I first read the YA science fiction series Animorphs as a kid and could actually visualize their transformations, connected with the characters, and honestly couldn’t put the books down. Every time I went to the library I would grab another book! I was pulled to read them, and it was then that I realized how magical words could really be. We have some amazing writers right now that I would love to sit down with, but if I had to chat with someone from the past, I think it would be amazing to have some tea with J.R.R. Tolkien. 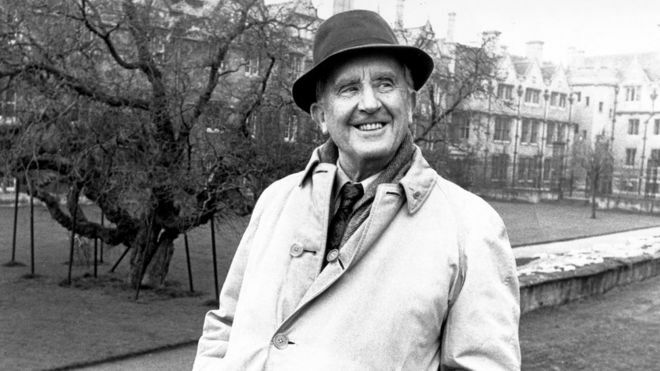 I took a Tolkien class in undergrad and learned so much about him, so I think spending some time with him in person would be fascinating. If the universal super being came down right now and said, “I give you two choices. 1 – I will give you 100 million dollars for your work, but no one will ever be able to read a word you write, or 2 – You can never ever benefit even one dollar ever off of your work, but 100 million people will read every book you ever write. Which one do you pick? Interesting question! I’d like 100 million people to read my work. I want my stories to get out there and be an inspiration for other writers, as well as spread positive representation of queer characters and introduce more female main characters in the science fiction and fantasy realms. I guess I could use the 100 million dollars to help promote other writers who are doing the same, but I’ve worked hard on these stories. I want other people to share in my adventures! How do you deal with bad book reviews? Cry. Kidding, kidding! Reviews are really for readers and not for authors, but getting a bad review is…well…it’s tough. I try not to read them but let’s face it, they’re hard to ignore sometimes. If the reviewers make a good point, I file it away. Most of the time, I just accept that my story won’t connect with every reader and move on. In Sunkissed Feathers & Severed Ties, the hardest scene to write was the one where Misti had to walk away. I won’t spoil it, but it was highly emotional. In general, I find the most challenging scenes to write are the intense ones—like when the characters finally say something they’ve been wanting to or do something that’s really hard for them. It takes me forever to craft scenes like that, and many, many cups of tea. Do you relate more to one of your characters or do you see bits of yourself in all of them? I relate to all of my characters in one form or another. Take the characters in Sunkissed Feathers, for example: I have a shy side so Misti is like me in that way, but I also love the rain like Dylori. I enjoy being the sunny personality in the room like Arias but I keep to myself a lot, too. Honestly, it would be hard for me to write a character that I didn’t connect with in some way, so I tend to put some small piece of myself into each one of them. Good question! One year from now I’d like to be in the process of publishing book two in my fantasy series, as well as actively writing book three. I’d also like to have more of my short stories and flash fiction pieces published by next year, and I hope to be involved with more conferences, too. So many things! Kellie Doherty lives in Eagle River, Alaska. Living in Alaska gives her an appreciation for nature, a hankering for a good cup of tea (or cider), and a passion for all things below zero. During those dark, winter nights, she keeps herself busy writing stories and creating characters. She is also a publishing professional with experience in editing, writing, project management, social media, marketing, and design with an MS in Writing: Book Publishing from Portland State University and a BA in English Literature from the University of Alaska Anchorage. She’s the author of the Cicatrix Duology (Finding Hekate and Losing Hold, Desert Palm Press) and is currently working on a five-book fantasy series. The first book Sunkissed Feathers & Severed Ties just debuted today! During the day, she’s an office assistant and freelance editor, and by night she’s crafting adventures full of magic and daggers…and maybe a few dragons, too. She also enjoys reading, taking walks, playing video and board games, and hanging out with her friends. Hawk had the pleasure of reading Sunkissed Feathers and Severed Ties. In this book, being out in the sun is a terrible thing. The author’s Alaskan roots shine through as she has spent lifetimes in the shifting seasons of all day darkness and all day light. In her book, daylight is more dangerous than night. Terrible creatures stalk the land in the day and the Moon Knights are tasked with protecting the many villages from them. They go where they are summoned. While out on a mission, Misti, who has a magical ability of super agility and speed, is not fighting so well. Turns out, she’s been taught the wrong way. Haven’t we all experienced being taught there is only one ‘best’ way to do something and it never works for us?? She is easily captured but instead of killing her, a pendant is attached to her chest that saps the energy of humans and animals alike, but it seems to do so only when it wants to. Living in this world through Misti’s perspective creates mystery, as you only experience what she does and puzzle out what she can. Through her memories, her encounters, and her battles we learn of this land full of warring religious groups, various types of creatures, and cultures divided by the resources they manage. Color plays a HUGE role in this book. Everything warm; reds, oranges, yellows, whites, are sunkissed and bad while everything cool; blues, greens, browns, purples, and blacks are good. Cultures even bleed in different colors. Activating powers seems to be colored based on the markings of the skin. Misti is also interested in her best friend, also a female. Her struggles with infatuation and blossoming love ring true for male-female relationships and are very relatable. In their culture, there still seems to be prejudice with female-female relationships, much the same as ours. Misti and her companions out on their quest to remove the pendant are far too busy fighting sun creatures, the pendant’s powers, and feeling betrayed by family and each other to engage in deep philosophical discussions. It is what it is – love is love no matter who feels it for whom – and that is what makes this book sing. Her simplistic and gentle approach to sexuality doesn’t push the reader to change their beliefs, but rather shows them a glimpse of what could be. Let’s talk creatures! Misti’s vulnix is a play on a vulpix of Poke’mon fame. If you can picture the variety of creatures in that franchise, you can picture the many creatures in this book. Vibrant colors, mixes of feathers and fur, and multiple body types with varying strengths fill this fantastical world. I fact, many of the fight scenes read like a poke’mon battle where each character has their one creature they can talk to and battle with. The interactions with creatures are the best parts of this book. Not only are they integral to the story, but the way in which Zora, Misti’s vulnix, is described in her motions, her intelligence, and their communicative bond really impresses upon you a perfect pet-companion relationship. It makes you want to go out and adopt something. While switching between day and night could be tiresome, the author does her best to make it clear during their journey, fights, and other escapades which half of the cycle the characters sleep or wake to. Some of the odd happenings and mysteries are solved by the end, and there is a climactic betrayal you won’t entirely see coming. If you like furry companions, women fighters, fantastic beasts (heh), and magic, then this book is for you.